Hollywood women are making a statement. Following sexual harassment and misconduct allegations in Hollywood, a source told E! 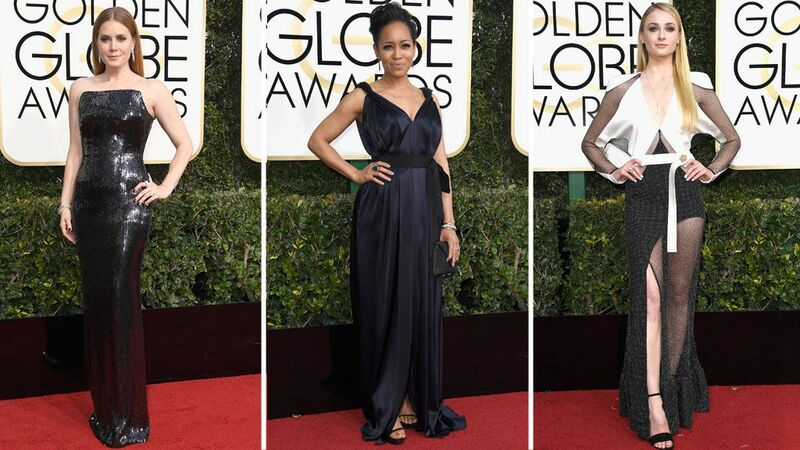 News that more than thirty actresses who are attending at the 2018 Golden Globes have vowed to wear all black to this year's ceremony. An insider says that it started as a small group but has grown and the women see it as a sign of solidarity. This story was also confirmed on The Morning Breath show by hosts Claudia Oshry and Jackie Oshry on Thursday. Nominations for the 2018 Golden Globes were announced on December 11. Frances McDormand, Jessica Chastain, Sally Hawkins, Judi Dench, Meryl Streep, Michelle Williams, Helen Mirren, Emma Stone, Margot Robbie, and Saoirse Ronan are just some of the actresses nominated for their work this year. This follows the statement stars at the 2017 Emmys made this past September. Many of the award show attendees sported a blue ribbon to show their support for the American Civil Liberties Union and their Stand With the ACLU initiative. The 2018 Golden Globes is going to be taken place Sunday, January 7, 2018, at 8 p.m. ET.